Invensense, the company providing Nintendo with the technology behind its new, improved Wii RemotePlus, have outlined in more detail this week how the tech behind the future of Wii gaming actually works. Joe Virginia explained to IGN how the technology differs to the current Wii Remote, in that: "rather than just having up/down, left/right, back/forth motion, you now have the ability to do rotational movements within each of those X, Y, and Z axis. "So if you imagine you had extended straight out and twisted your hand, now you have the ability to measure rotational force." Virginia goes on to explain how Nintendo is currently able to offer six degrees of freedom, along a 3D X, Y, Z frame. What Invensense's tech does is to also allow rotation, thus offering Wii gamers "the maximum amount of motion that can ever be tracked." "It's incredibly high precision... the combination of the sensor bar, the gyroscopes, and the accelerometer…is more than enough for any gaming purposes," claims Virginia, giving the example of sword fighting, which has been pretty basic and disappointing in Wii titles to date. Wii Motion Plus allows the "opportunity to swing the sword above your head, behind your head, thrust right, thrust forward," Virginia says. "All of those types of motions in the past weren't possible, but this is the gyroscope capability, combined with the accelerometer and the sensor bar within the Wii remote system that bring a new level of gameplay." 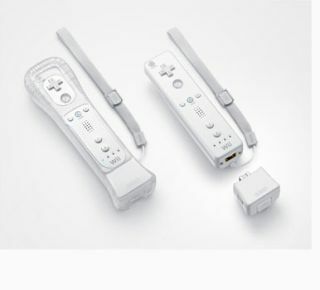 Will Wii RemotePlus finally deliver the accurate one-to-one motion control gaming that Nintendo is promising? We'll have to wait until we get our hands on the kit to trial it out later this year to tell you that. In the meantime, you can see a rather cool demo explaining how it all works over at Invensense's site.